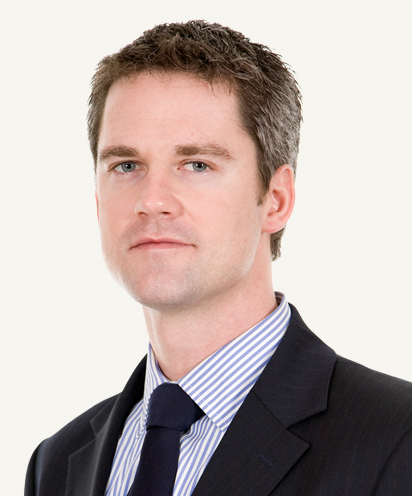 Edward Dougherty is an alumnus of SAIS Europe ’05, SAIS DC ’08, and the Georgetown University Law Center ’08. He completed SAIS’ joint degree JD-MA program. Dougherty connected with The Observer for a phone interview about his adventures, his path after SAIS and advice he has for current SAISers. Below is an abridged transcription of the interview. Thank you for taking the time to speak with The Observer, Ed. Let’s dive right in: Where are you now? Right now, I am based in São Paulo. I work at a British law firm called Allen & Overy. I was initially with the firm in New York for four years working on Lat Am project finance and then came down to the São Paolo office about 11 months ago. The majority of my work is focused on the energy, oil/gas and mining sectors. Can you tell me a little about your day-to-day work? We structure and negotiate the agreements for infrastructure projects. In terms of a deal time line, usually the project sponsors do all the modeling and initial project development prior to our involvement. When the banks that will eventually provide the financing become interested, and the project developers get to the point where they need money to develop the project, that’s when the lawyers get involved. Then you actually start negotiating and agreeing the terms of how the money is going to be loaned, how the security will work and how the waterfall structures will work to allow for repayment of the loans. When you say “project finance,” can you be more specific? Generally speaking, project finance is the financing of the development of a specific asset (e.g., a mine, wind farm, etc.) in which debt is repaid out of the revenues produced by that asset. Project finance in Latin America is fairly broad, though largely focused still on natural resources. In Brazil, given the recent discoveries of offshore oil, there’s a lot of investment in moveable drill ships and FPSOs. I have also worked on several power financings and mining projects here in Brazil. Elsewhere in Latin America, it’s been power here and there – some in Mexico, some in other parts of Central and South America. In Colombia, I worked on an oil pipeline project and the financing of part of the Bogota bus system. How do you become interested in Latin America and project finance law? During school, I had the opportunity to take a summer associate position at a mining company in Brazil (Vale). I previously had studied in Bologna, had passed proficiency in Italian and spoke Spanish. However, Brazil was obviously happening, so I started taking Portuguese classes at SAIS. When I finished my joint degree, I was in a pretty unique place. I picked a firm with a Brazilian office and a strong Lat Am practice, and it’s worked out nicely. What did you do before SAIS? Right out of undergrad, I worked for the IT consultancy Accenture. Right before I went back to SAIS, I worked for an equities trading company. Between those two I spent about three years traveling. I started kind of back-packing and then one thing led to another, and I ended up hitch-hiking rides on boats. All together I sailed to about 70 countries over two years. Whomever I met along the way. There were four boats, three of them were sailboats and one was a motor yacht. I actually didn’t spend any time in South America during this period, but we sailed most of the oceans, both canals and touched five continents. It was great, but after a while it actually got tiring being on the road the whole time. I always knew I was going to go to law school, so I was having a broadening experience until I did that. How often do you keep in touch with classmates? I’m in touch with them all the time. A number of friends work in similar fields, so we are able to share stories and information from time to time. One of my friends works in finance in Africa, and as we speak she is visiting a project in Burkina Faso. Another friend and classmate is actually here in São Paulo, working as an M&A banker. Another friend from SAIS is a thought leader in the renewables sector. He moved to Hong Kong, but he’s always turning up in the kind of media you follow as a SAIS person. It’s great to have friends doing interesting things all over. Any additional advice for current SAIS students? I’m a huge promoter of SAIS and think it’s a great program, particularly the multi-disciplinary aspect. If you can take the time to lay yourself out there and do as many different things as possible while at SAIS, it’s amazing how much the place can offer. Leverage your participation in the SAIS program into interesting internships outside the program or, if you are studying in Bologna, don’t sweat the lack of internships and just have great meals with your classmates. Get to know as many professors and students in the different academic programs as you can. Take cross-listed classes in new disciplines. Allow the different ideas and perspectives to work. After SAIS everyone is going to branch out in unexpected ways and end up specializing in areas very different from one another. It would be totally impossible for me to now go out and find on my own such a diverse group as those people I knew from my time at SAIS. With such a diverse group of friends and former classmates, an incredible array of interests and knowledge and answers to a fantastic range of questions are really just one or two steps away. Most of that comes back to who you meet and get to know when you are studying in the program. Thank you to Edward Dougherty and all alumni for their time in connecting with The SAIS Observer to share their experiences with students.